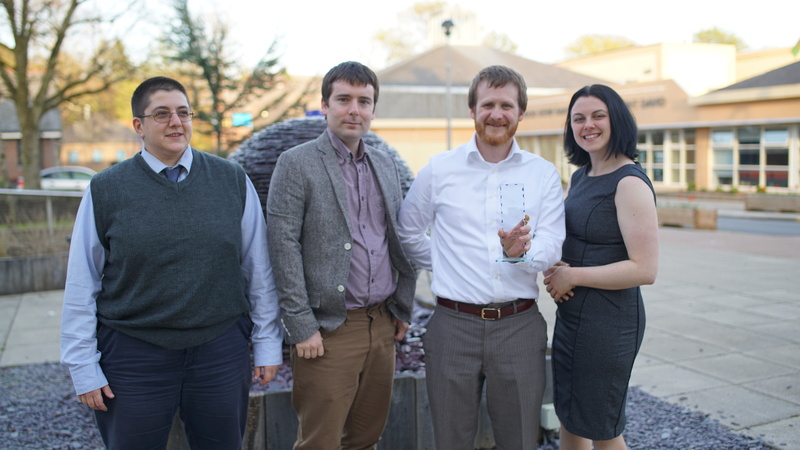 This is the third year of the UWTSD Lampeter Student Led Awards, and on Wednesday a number of students and staff got together for the celebration and presentation of the awards. The Student Led Awards are organised by the UWTSD Students’ Union and are based upon a process of nomination and selection by the students. The Awards seek to recognise and celebrate the students and staff that have had a considerable impact on student life on the Lampeter campus over the current academic year. Every year, in May, the Students’ Union organises an evening where students and staff come together and celebrate the nominees and winners of the various awards. Good fun was had by all; here the Performing Arts and Musical Theatre societies just before dinner. 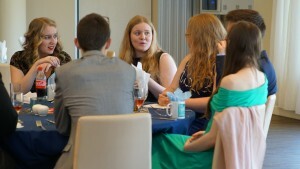 So, on the beautiful sunny early evening this week, about a hundred students and staff had dinner together in the Lloyd Thomas Refectory, where with much wine and discussion the winners of the awards were announced. 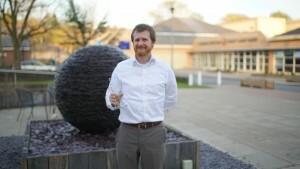 Dr Kyle Erickson, Head of School of Classics, Assistant Dean of the Faculty of Humanities and Performing Arts, and well-known to all students for his modules on Hellenistic History, including the very successful immersive role-playing module Courts and Society, was awarded the Academic Staff Member of the Year Award. If you want to know more about the use of role-playing in Courts and Society, read this blog post. Many congratulations also to Drs Errietta Bissa and Harriett Webster, who were nominated. 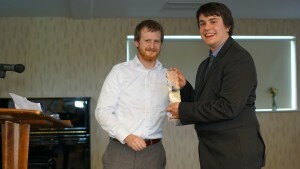 Haf James won the Non-Academic Staff Member of the Year Award for the second year in a row. 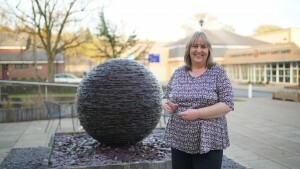 Haf is the receptionist of the Canterbury Building, the hub of all student services on the Lampeter campus, from the Faculty Office and Finance to Student Support and the Careers Service. Haf is the first person that many students meet when they enter the Canterbury Building, and everyone speaks highly of her dedication and commitment to helping everyone, students and staff. Congratulations also to Hayley Goddard and Emyr Morris, who were nominated. 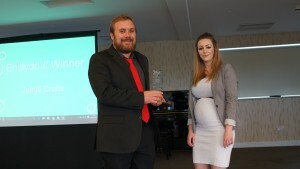 Stephanie Turner, the Students With Disabilities Officer in the Lampeter campus Students’ Union, won the Part Time Officer of the Year Award for her work in supporting all students with disabilities. Many congratulations to Lewis Allen, LBGT+ Officer, and Ciaran Ross-Thomas, Sports Officer, who were nominated. Representatives of the School of Classics with the award. Special congratulations go to the School of Classics, who won the School of the Year Award, for the third year in a row, and the School of Archaeology, History and Anthropology, who were nominated. Richard Manklow, BA Ancient and Medieval History finalist, won the Student of the Year Award for his tireless efforts on behalf of campus and faculty students, as well as his work as course and faculty representative and as a member of the Student Researcher Team. Congratulations also to Toby Lewis and Alun Williams, who were nominated. Jamie receiving his awards from Bea Fallon, Lampeter SU President. Many congratulations to Jamie Crofts, who won the Course Representative of the Year Award, for his work in representing the students in the BA Archaeology (Year 1). Course representatives are an invaluable resource for both students and the university, as they are the voice of the students in Student Staff Committees and other occasions. Also congratulations to Gemma Russell and Richard Manklow, the other two nominees. 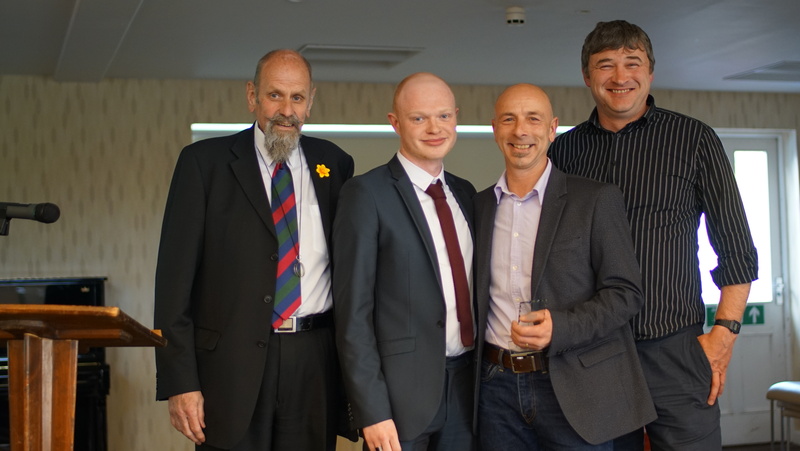 The Non-Academic Department of the Year Award was won by the Porters for the second year in a row! The Porters are the go-to people for all aspects of student life and an essential part of campus life. 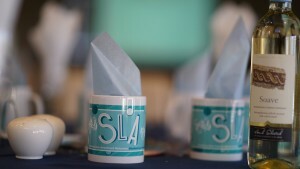 Also congratulations to Estates and Student Services, the other nominees. 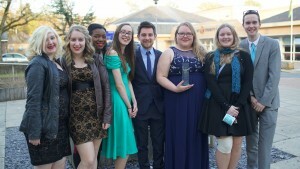 Musical Theatre won the Society of the Year Award. Musical Theatre has been very active this year, and their Into the Woods performance just last week was a great success. Congratulations also to the other nominees, LGBT+ and Performing Arts. 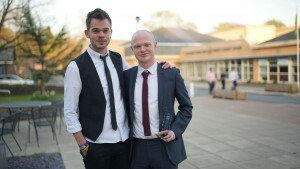 Representatives of the Musical Theatre Society with their award. 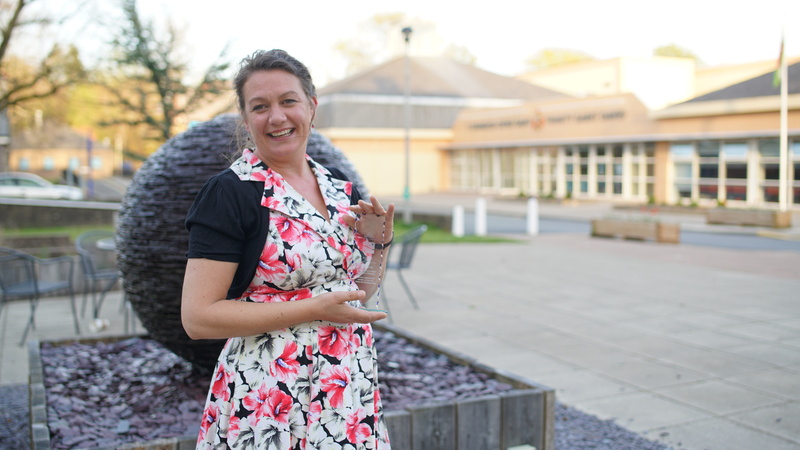 Many congratulations to Katherine Hollingsworth, who won the Student Support Staff Member of the Year Award. Katherine is one of our valued members of the Student Support Team; in a rather moving moment, the award was presented to Katherine by Rebecca Bamsey, 2016/17 Lampeter Campus Officer Elect, who has been supported by Katherine since the beginning of her studies. Also congratulations to Lindsey Roberts and Lynda Lloyd-Davies, who were nominated. Jules Plant won the Student Staff Member of the Year Award. Jules is Cultural Diversity Officer, and also works in the Students’ Union. Congratulations also to the other two nominees, Toby Lewis and Megan Lewis. 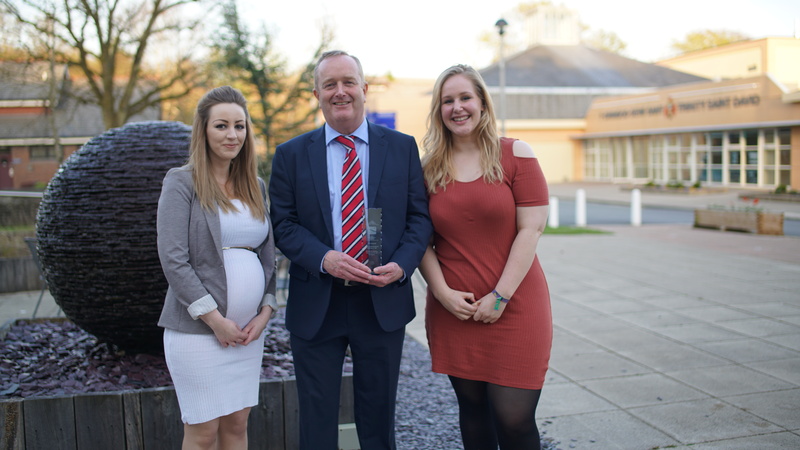 Finally, the Special Recognition Award from the SU was given to Mr Dai Rogers, Head of Student Services, for his commitment to supporting all students and creating a caring and supportive environment on all UWTSD campuses. Mr Dai Rogers with the award and the SU Presidents for Lampeter and Carmarthen. 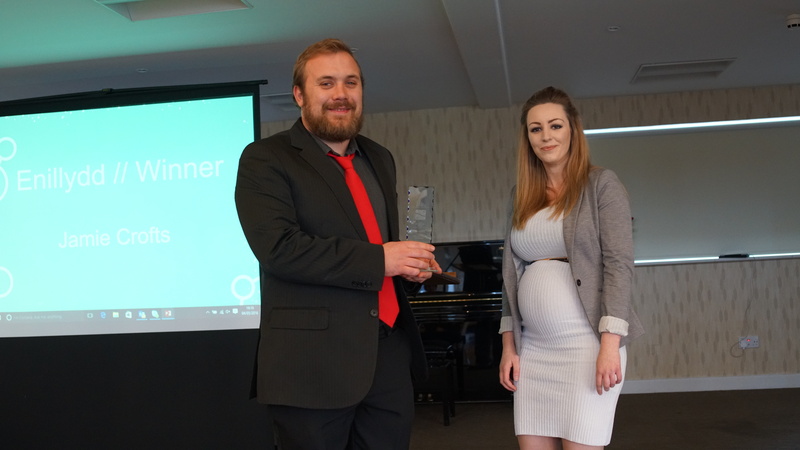 Many thanks to the Students’ Union for all their work in organising the Student Led Awards, and of course many congratulations to all the winners and nominees.